After our coffee break at Lion’s Beach, it was time to get back on the road. This was my first trip on Hwy 101 and I wasn’t sure what to expect. Hwy 101 is a pretty highway that travels around Wawa Lake, which was much bigger than I had imagined. There is very little traffic on this road. 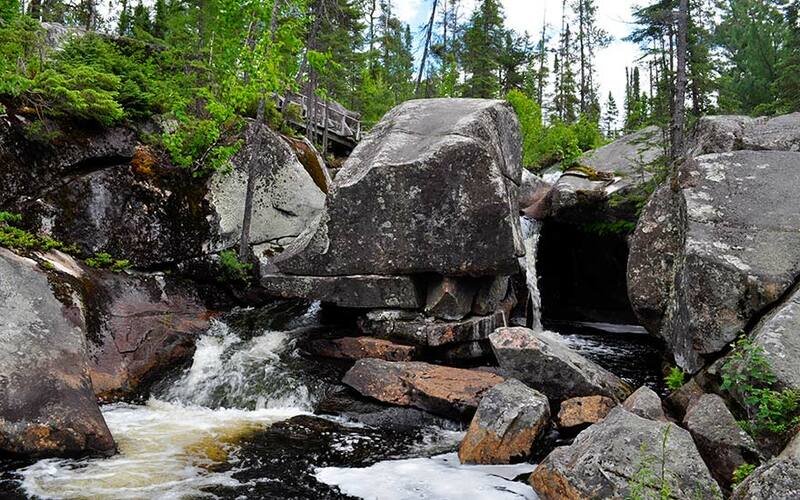 Potholes Provincial Park is a geological wonder. 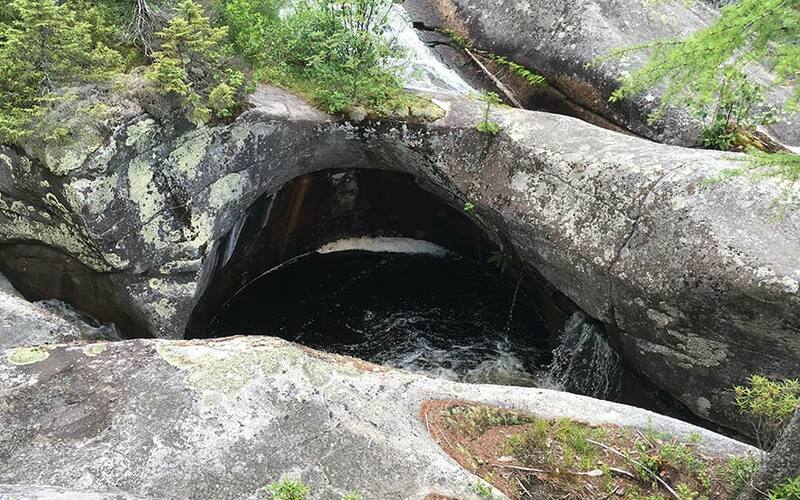 The “potholes” were formed by glacial erosion 10,000 years ago. 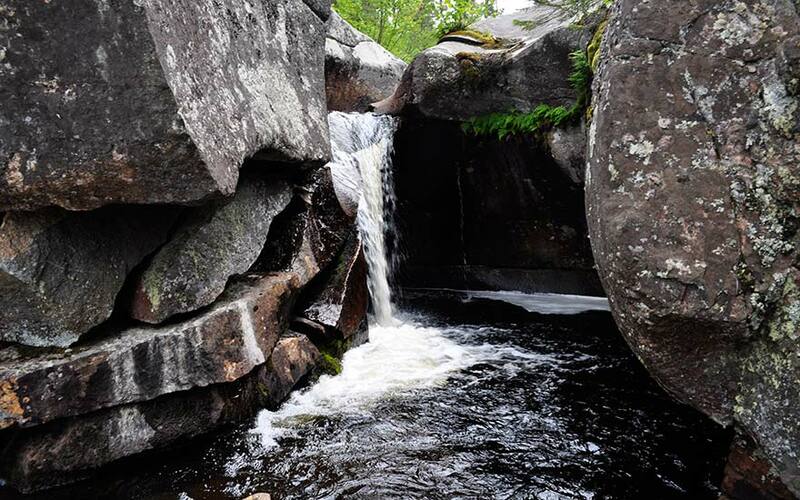 The meltwater carried debris and the force of this debris formed large potholes in the bedrock. 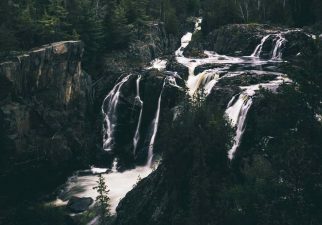 Today, the site is home to miniature waterfalls and beautiful boreal forest along the Kinniwabi River. 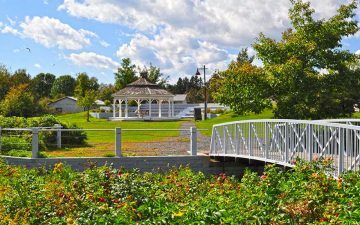 The park is very peaceful with the songs of birds, insects and flowing water. This is when our road trip plans changed. 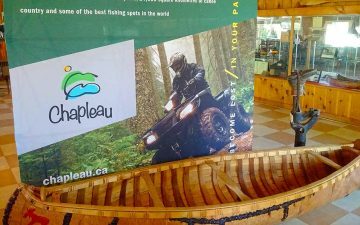 We’d never been to Chapleau and because we were already part way there, we headed east on Hwy 101 to continue on the Grand Algoma Tour. We could see the landscape changing and there were large “erratics” laying absently on the sides of the highway. Erratics are believed to be have been brought from glacial action. Not surprising after what we saw at Potholes Provincial Park! 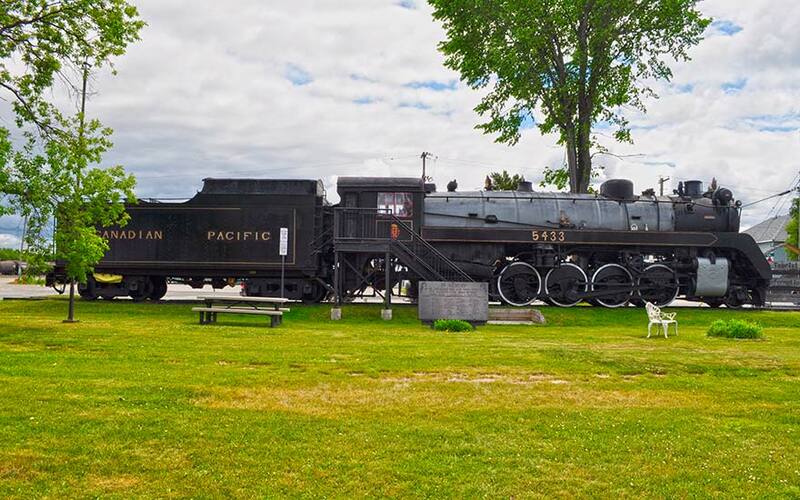 When you arrive in Chapleau, visit the Chapleau Museum and see the Ironhorse #5433 Steam Engine. The steam engine is enormous and there’s a metal staircase where you can peer into the engine room. Standing at the top of the staircase gives you a sense of how tall the engine is. This one in particular weighs 275 tons, is 95 feet long and in its prime hauled 1900 tons! There is also an on-site caboose. Inside the museum are different artifacts like drawings and photographs, First Nations art pieces, early furnishings, local history, memorabilia and more. You can also purchase locally made arts and crafts. 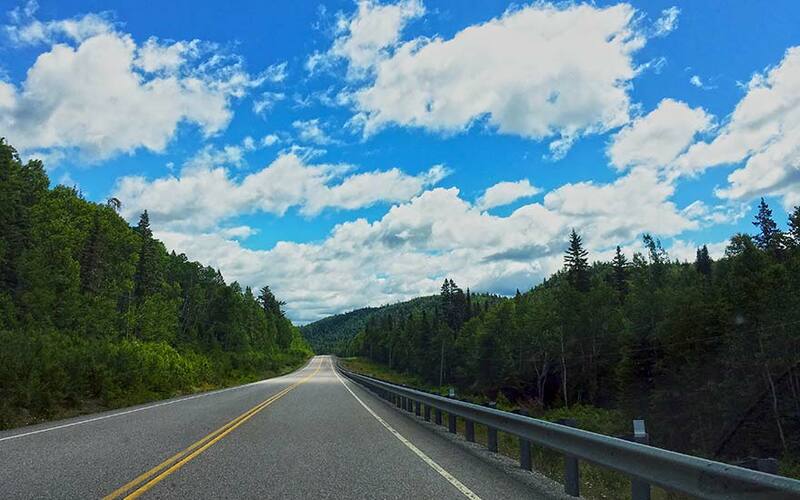 From Chapleau, head south on Hwy 129 and drive along the winding roadway. The landscape varies with old and new growth trees. The area is known for it’s railway and logging history and some of the new growth trees have sprung up in the remnants of old forest fires. The trees that line the highway are VERY tall! The landscape gradually becomes one of mountains, lakes and thick green forest. 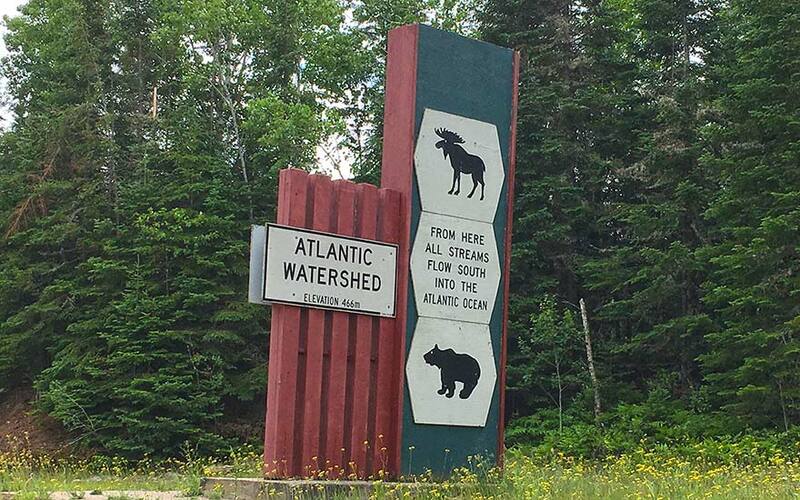 And when the road begins to follow the Mississagi River, you are in for the ride of your life! 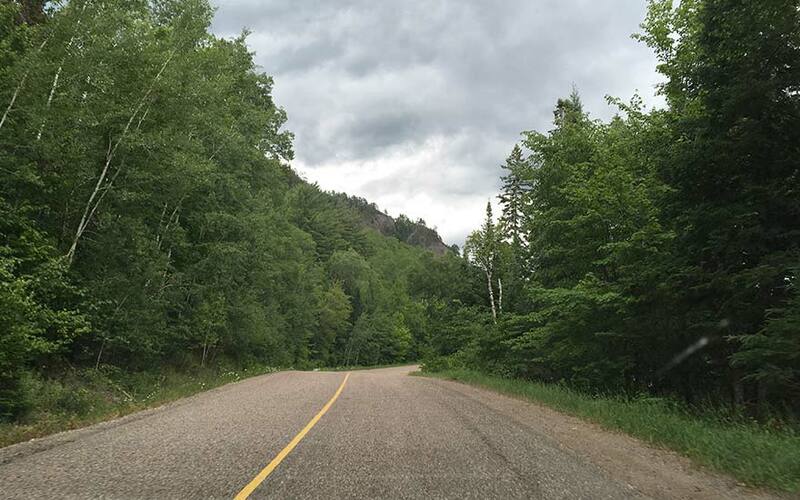 Referred to as Ontario’s “Tail of the Dragon” the road twists and snakes as it follows the river, around big rock cuts and hills in some spots. 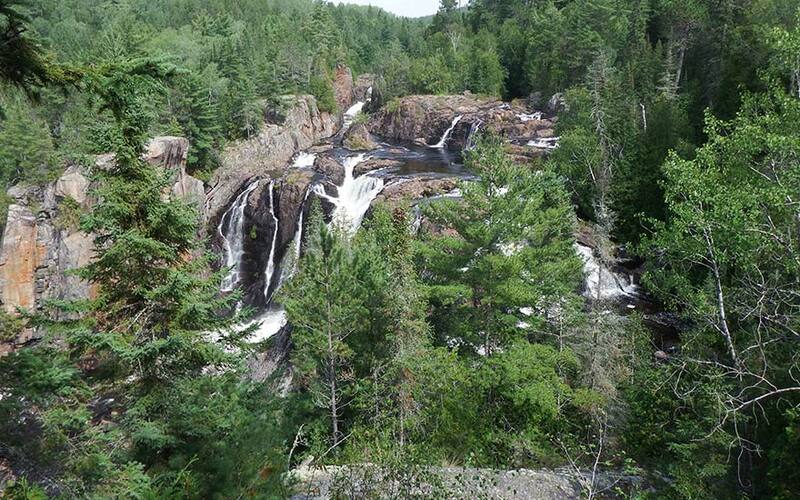 Local Hiking Spot: Aubrey Falls Provincial Park is a day-use park located on Hwy 129. This isolated waterfall is a moderate hike. What’s interesting is that the dam controls the flow of the falls and can be stopped at night or during the winter months. There is signage, and privy toilets located in the parking lot. 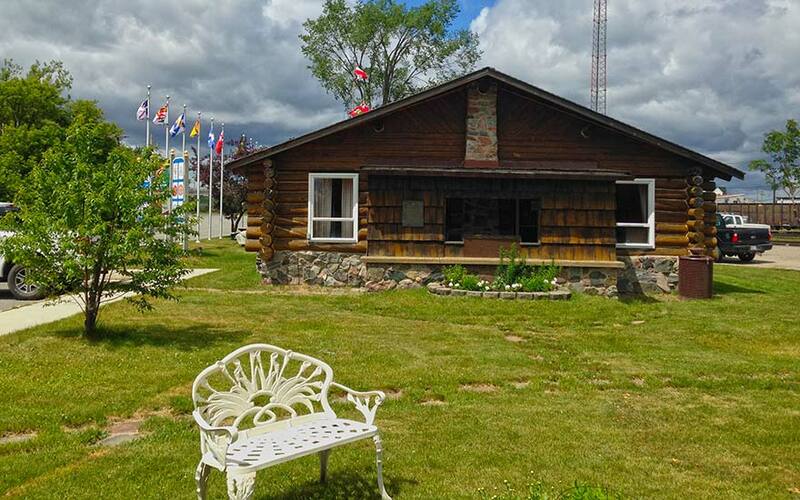 Highway 129 connects to Hwy 17 and there are many communities in the area with lots of different types of accommodations, places to eat and interesting spots to explore.